Herbal Remedies: The Water Diet: How Does It Work? The Water Diet: How Does It Work? The diet of water as it works? 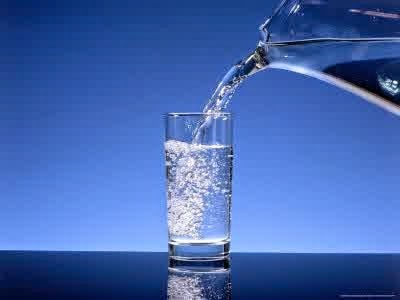 This type of diet is to drink throughout the day, 8-10 glasses of water. It 'important to remember to do it before meals. This will increase the sense of satiety and are more motivated to reduce the intake of calories of the foods we consume. In particular, it would be helpful to drink sparkling water, which should give a greater sense of satiety. The aim is also to ensure our body the proper hydration, whereas this is also accessible through the ingestion of foods rich in liquids, such as fruit and vegetables. The water is good for health, because, while debunking the myths, not only does not contain calories, but also has a satiating power of special interest. It has a drainage function, which helps the body eliminate toxins and waste. It 'also a great way to combat constipation, bloating and abdominal pain. If you want to respect the principles of this type of diet, you should drink 2 glasses of water before breakfast, lunch or dinner. In this way is achieved much more quickly satiety during a meal. Through a study done at the Virginia Tech it is seen that, by combining two glasses of water before meals to a low-calorie food path, volunteers who followed this diet lost 2.2 kilograms more than the others. It 'important to avoid fried foods, which can be considered among the foods that make you fat more. Some attention should also be given to the method of cooking: for example you could use that to steam. Also important are the condiments: the best extra virgin olive oil rather than butter and oil seeds. It is not enough just to drink water before meals, because, for the slimming effect, you have to match a low calorie meals. We see in what way. Breakfast: 1 low-fat yogurt with fruit to taste 1 or 1 fruit smoothie and 3 cereal bars. As an alternative to cereals 2 slices wholemeal bread with 2 teaspoons of honey. In place of the yogurt may be helpful to drink one cup of green tea. Lunch: 70 grams of whole wheat pasta topped with vegetables. Mixed salad at will, even with lettuce, carrots and celery. Mid-afternoon snack: 1 apple or 1 pear. Dinner: 50 grams of bread, 150 grams of chicken breast or 170 grams of sea bass or 80 grams of tuna.